Jeff Sessions, a noted racist, filed a memo on Monday that will begin a review of “consent decrees” from the federal government to local police forces. The decrees were issued under President Obama in response to the high profile deaths of black men and women at the hands of officers, and the ensuing investigations into systemic issues in police departments. 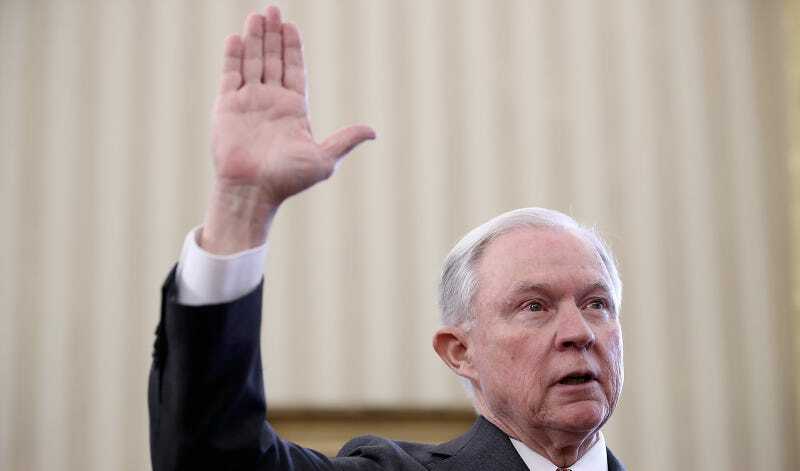 “I think there is concern that good police officers and good departments can be sued by the Department of Justice when you just have individuals within a department that have done wrong,” Sessions said in January. According to the New York Times, Sessions said in February that the consent agreements were “demoralizing” the police and likely creating more murder and violence in cities than existed previously. The American Civil Liberties Union’s legal defense fund slammed the move, calling it “a blatant attempt by the justice department to abandon its obligations under federal civil rights law and the US constitution”. In a statement, the ACLU also took issue with the attorney general’s suggestion that abuse within police departments was attributable to “the misdeeds of individual bad actors”.